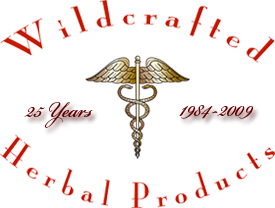 Nerolina (Melaleuca quinquenervia) is used in Natural Skin Care Products for its many medicinal properties. This paperbark grows 10-15 m high with scented leaves and papery bark. Hold a leaf up to the light to see its shiny oil glands, then crush it to smell the aromatic oils. The flower spikes are made up of creamy, sometimes greenish flowers which appear in autumn and winter. The woody fruits are 4-5 mm in diameter and contain many tiny seeds that are asey to collect and grow. There are approximately 215 species of Melaleuca, 210 of which are native to Australia (RBG). 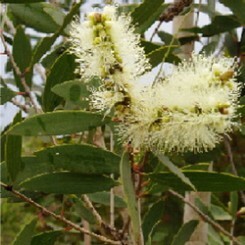 Botanical Name: Melaleuca quinquenervia LN. Major Known Constituents: Cineol, terpineol, pinene, limonene, citrene, terebenethene. Melaleuca quinquenervia can exist in Linalool and Cineol forms as well as combinations of these. It is native to Australia and found in coastal areas from near Sydney, New South Wales to northern Queensland. The latitudinal range is 8-34o S and the altitudinal occurrence is below 100 m except in New Caledonia where it is found up to 1000 m.
Like Australian Niaouli, Nerolina is extracted from the leaves and twigs of a selected chemotype of the Broad-Leaved Paperbark by steam distillation. Equal parts of linalool and nerolidol give this oil very distinctive lavender and lilac notes with a clean, mildly woody aroma. In cosmetics and perfumery, Nerolina can be successfully used as a replacement for the top grade French lavender (Lavandula angustifolia) and has similar applications in skin care, medicinal use and in Oil Blends. Nerolina can be found in Wildcrafted Native Australian Hydro Oil Blend. The oil can also be used (in combination with others) in conditions such as: Aches, acne, bronchitis, colds, coughs, cuts, dull skin, flu, oily skin, sore throat, whooping cough.